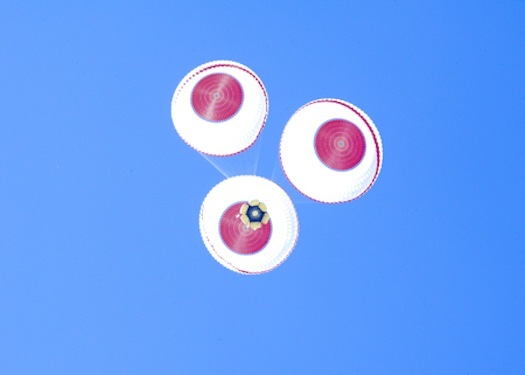 HOUSTON, May 3, 2012 (Boeing PR) — Boeing [NYSE: BA] successfully completed the second parachute drop test of the company’s Crew Space Transportation (CST)-100 spacecraft on May 2 at the Delamar Dry Lake Bed near Alamo, Nev. 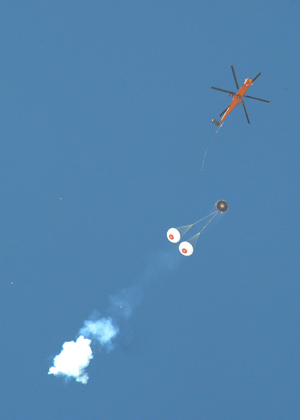 The test demonstrated the performance of the entire landing system. The Boeing and Bigelow partnership consolidates the deep knowledge acquired from Boeing’s long history and heritage in human spaceflight with expertise from one of the world’s most important new space firms. Bigelow also is a Boeing customer, with plans to use the CST-100 spacecraft for transporting people to and from the company’s space complex. 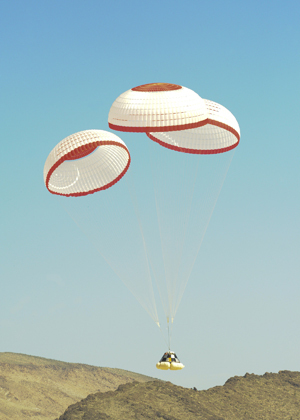 The Boeing Commercial Crew program includes the design, manufacture, test and evaluation, and demonstration of the CST-100 spacecraft, launch vehicle and mission operations — all part of Boeing’s work under NASA’s Commercial Crew Development program and upcoming Commercial Crew Integrated Capability initiative.